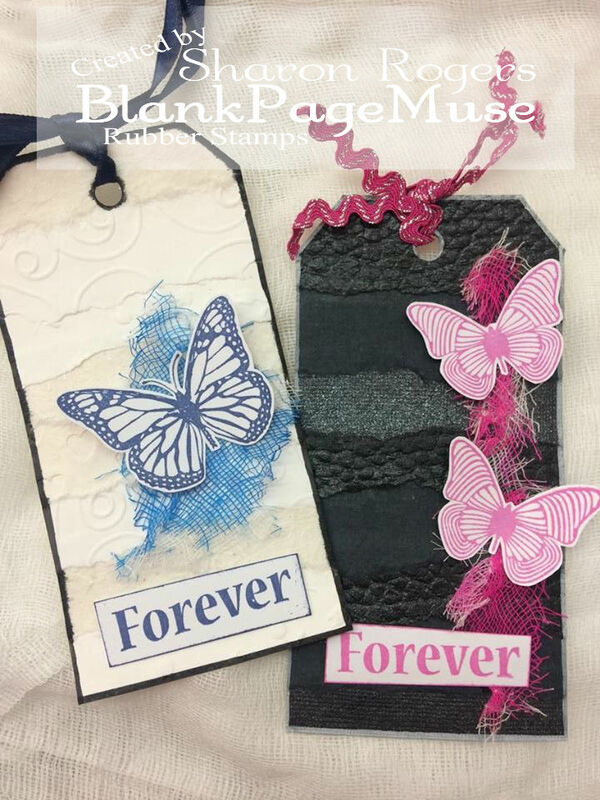 Hello Blank Page Muse Fans! 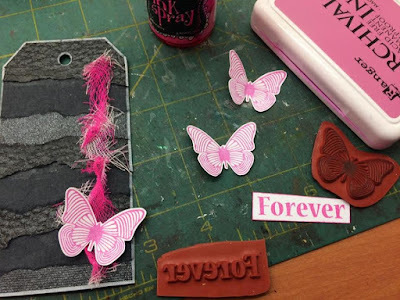 I hope you are all enjoying the fabulous creations being shared on the blog so far this month! It's always great to see how everyone uses the stamps in their own style - it's also very inspiring! 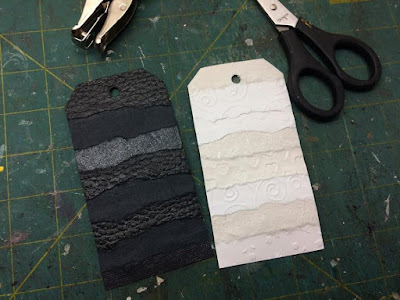 I hope I can inspire you today to create some quick black & white + one colour tags to follow our theme this month and also to give you an opportunity to join in with the challenge theme! Start by collecting some white papers with various textures, embossing and finishes - a great way to use up scraps of paper. 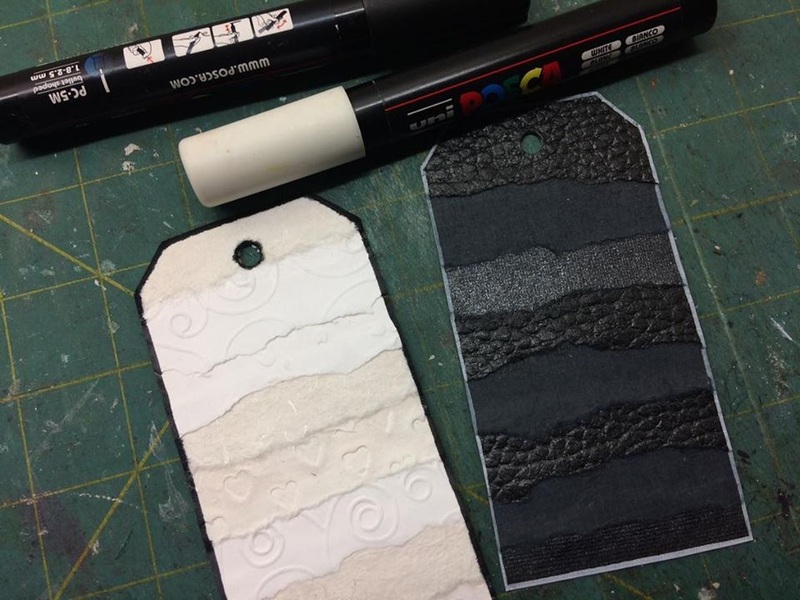 This will work for any size tag and all you need is a glue stick to attach. 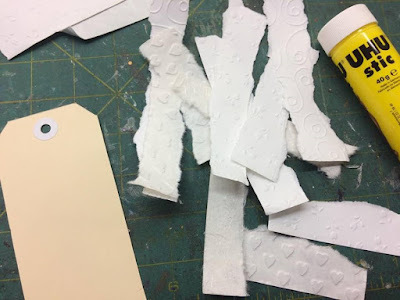 Tear your paper into strips approx. 1.5cm in width. There is no need to be neat! 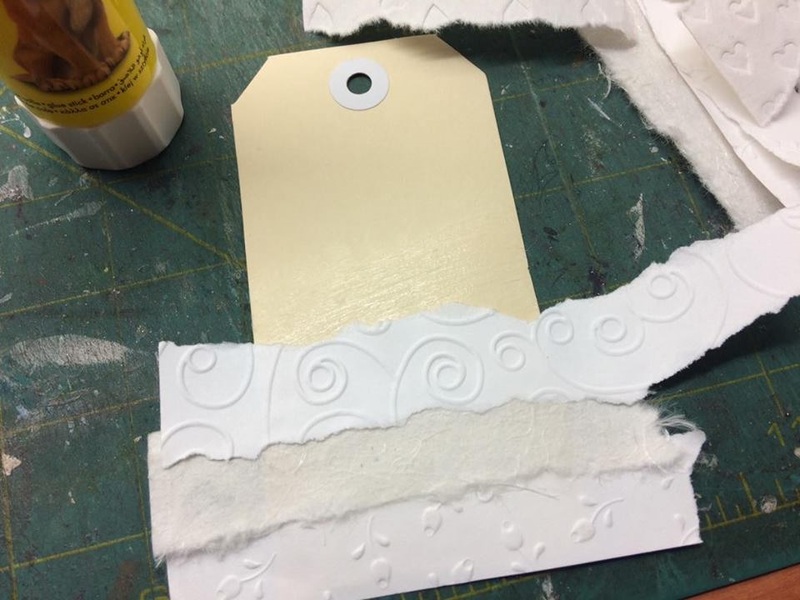 Start at the bottom of your tag and apply glue with the stick and start to layer your torn strips of paper making sure to overlap and allow to hang over the sides! 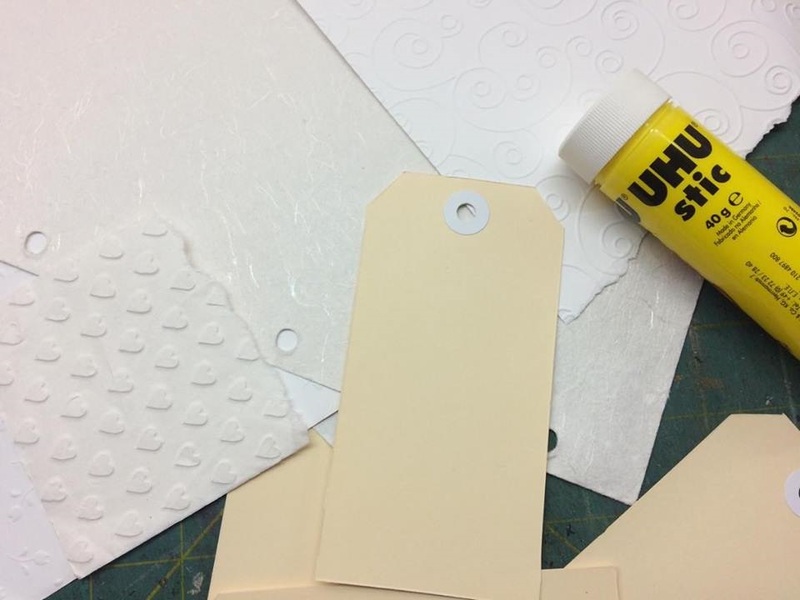 Once the glue is dry trim around the edges with your scissors and punch the hole back in the top of the tag with the hole punch. 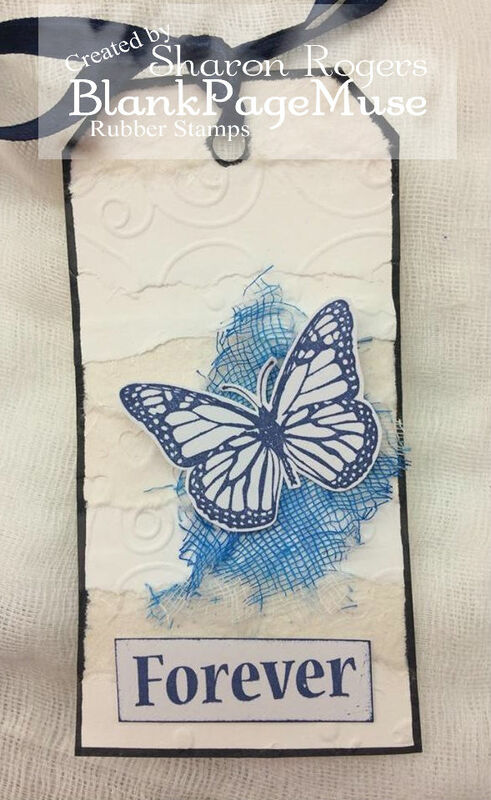 It's a great idea to make several of these whilst you have lots of torn strips of paper - put some away to use when you need a quick make! Using the Posca pens edge the borders of the tags. 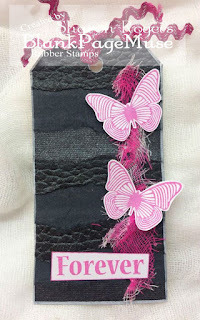 As you can see a black border for the white covered tag and vice versa! Next stamp the butterfly inages and "forever" wording onto white cardstock using your chosen colour. 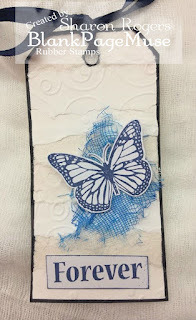 You can also use ink spray to colour a piece of cloth. 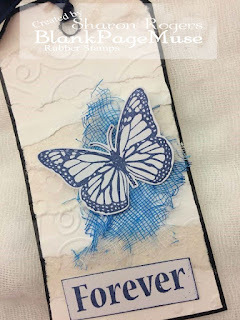 Edge the wording with the ink pad as well to add a border. Arrange your elements on the tag and adhere with glue - I always like to fold up the butterfly wings and just adhere the stamped image in the middle so you get a 3D look on your tag. 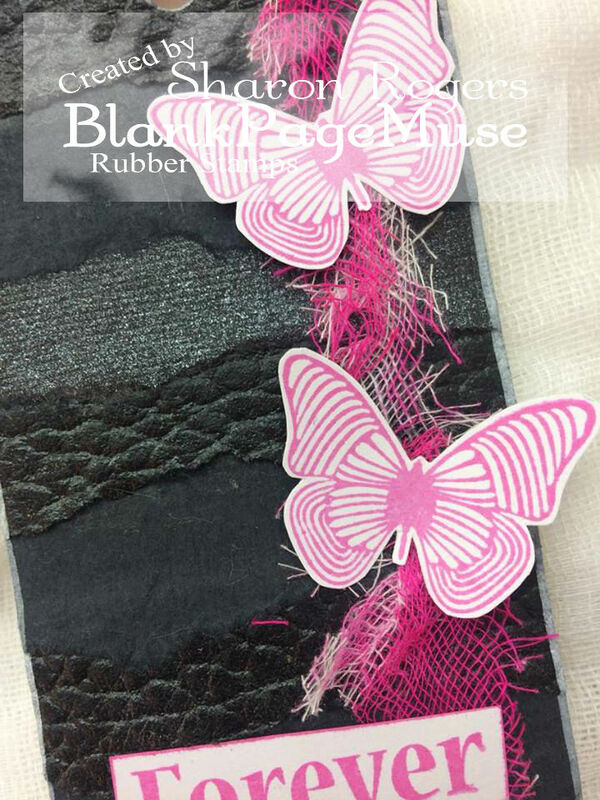 Tie some fibres or ribbon in the same colour to the top of the tag. Now you have some quick and easy tags! Thanks for joining me today! 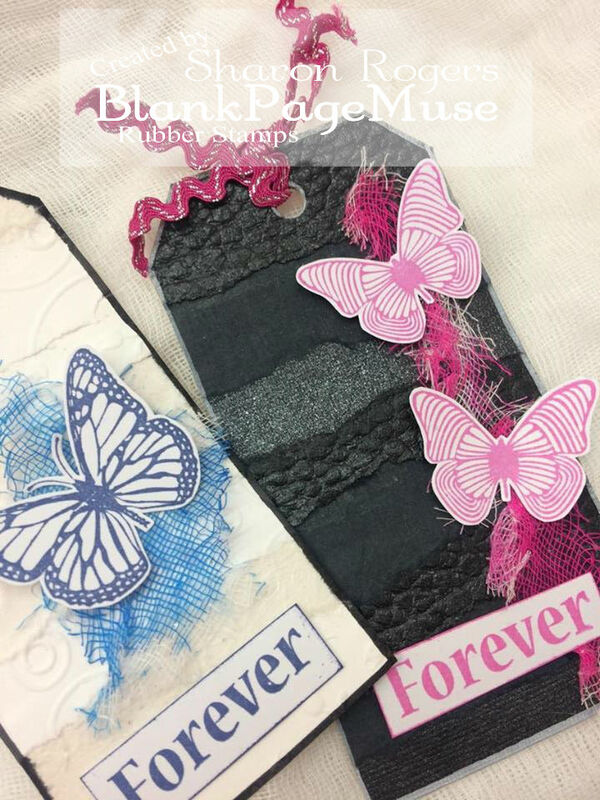 Hope you will fond the time to play along with the Blog Challenge and also pop over to the Facebook Group for fun and creations!